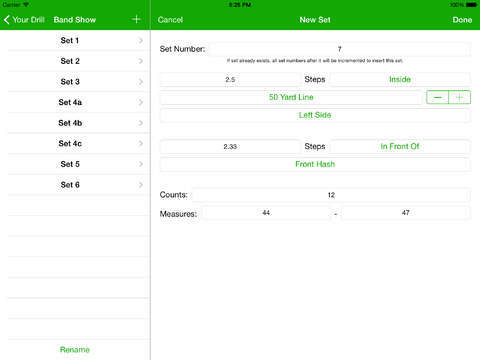 Get Drill, the ultimate marching band and drum corps app. 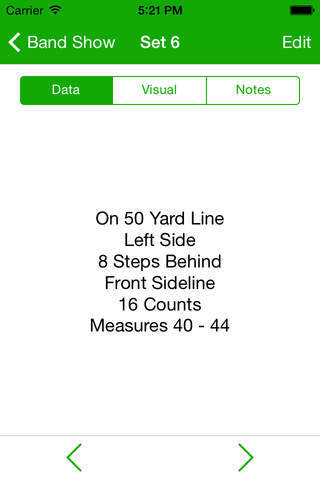 Drill provides a simple, easy to use interface that replaces tedious hand written set books/dot books/drill books. Drill is the ultimate solution to the marching band or drum corps member. For free, it eliminates the need to carry a burdensome notebook/binder around, and adds the features to allow you to better learn your sets.